In the 1890s, settlers crossed the Rocky Mountains seeking new opportunities — and bearing frogs. A new study coauthored by a San Francisco State University biology professor draws a link between that introduction of American bullfrogs (Rana catesbeiana) to the western half of the United States with the spread of a fungus deadly to amphibians. The work highlights the catastrophic results of moving animals and plants to new regions. 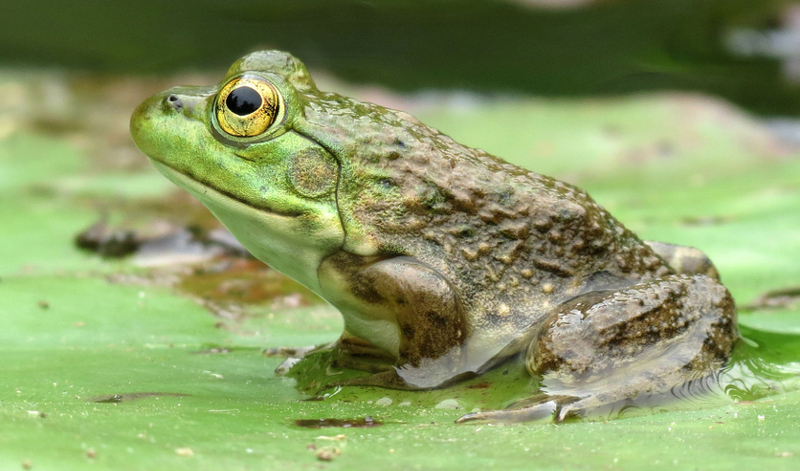 American bullfrogs, a species introduced to the West by settlers who wished to populate ponds with an abundant source of frog legs, have for over a decade been a main suspect. Bullfrogs can carry Bd without falling victim to it themselves, making them a potential vehicle for the fungus to colonize new habitats that harbor vulnerable amphibians. Firmly placing the blame on bullfrogs, however, has been difficult. “The problem is we need a time machine to see what happened,” Vredenburg explained. So he and a team of colleagues sought out historical data from around the American West to pinpoint when bullfrogs arrived in each region and how those dates line up with the first local records of Bd. In 83 out of the 100 watersheds where the team could dig up data on both bullfrog and Bd occurrence, the frogs were spotted first or in the same year. And in 13 of the remaining 17 cases, bullfrogs had previously been found in a neighboring region. The team reported their results last month in the journal PLoS ONE. “Even when Bd got there before bullfrogs, the frogs were usually close by,” Vredenburg explained. So these new findings are more evidence in the case scientists have built against American bullfrogs — if their presence is a prerequisite for an outbreak, it appears even more likely that they’ve contributed to Bd’s spread. That link between frog and fungus explains patterns in the U.S., but it’s also relevant far beyond the country’s borders. Thanks in part to a U.S. Agency for International Development program that shipped bullfrogs to developing countries to start frog farms, the invasive amphibians have taken hold in parts of Europe, Asia and South America. “I hope researchers will take this study and try it in other parts of the world,” Vredenburg said. Tiffany Yap and Richard Ambrose of the University of California, Los Angeles and Michelle Koo of University of California, Berkeley were coauthors on the study.